S for Sacred Heart Cathedral, Roman Catholic Church, and much loved icon of Bendigo. The cathedral is one of Australia’s largest, and considered exceptionally large for a provincial city. 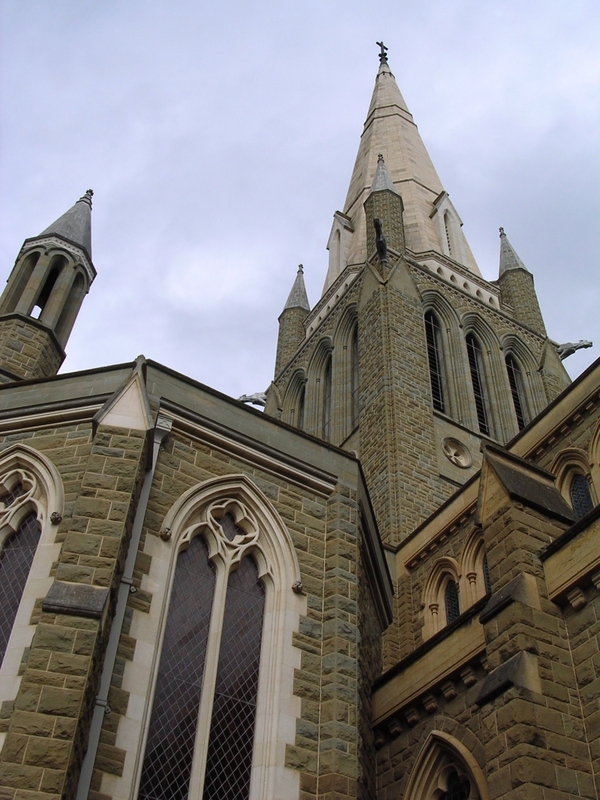 It’s height makes it the second tallest after St. Patrick’s Cathedral in Melbourne. During the goldrush, the catholic church became very wealthy, due to the financial expertise of Bendigo’s first catholic priest on the goldfields, Henry Backhaus, a german, with considerable skill at convincing successful gold miners to donate part of their findings to the church. This wealth enabled the church to be built, although it was a long process. Work on the cathedral began in 1896. The church employed out of work miners to do the labour. When construction began, the church borrowed money to get started, from George Lansell, the Quartz King, as the Backhaus money wasn’t yet available. On receiving the Backhaus money, the debt to Lansell was paid. The church was built in stages, with the final stage being completed in 1977. The large pipe organ in the church was built in London and installed in the cathedral in 1905. The organ was restored in 1951 and again in 1986. In 2010 it was completed with the addition of extra pipes. Bells which are the heaviest and deepest toned were installed in September 2001. The cathedral has a huge tower and spire, which is considered to be the perfect home for such a wonderful set of bells.